Our little Peanut is growing up, so I thought I would update my travel tips -- this time with a preschooler (where did the time go?). I wrote about plane travel with a (pre)toddler here, and our favorite gear here and tips for day trips (by car) here. 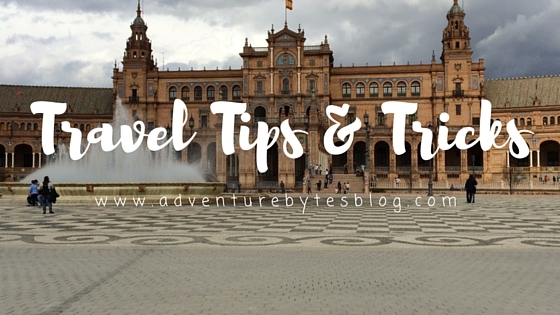 And while some of it is the same, some has changed, so I figured I would combine all my tips for traveling with older toddlers/preschoolers here! No matter where we are going or for how long, our stroller comes with us -- it can hold our bags, our kid will gladly sit in it, she can sleep in it, it holds stuff for the day when we are out exploring, and more. We pack in some pretty long days when traveling and while our little lady can walk (and loves to), she struggles to keep up and cover all of our ground. A stroller just makes our lives easier. I love traveling with a stroller and I love the City Mini in particular. I have talked about my love of our stroller many many times on the blog (here, here, and here just to name a few). This bad boy folds up with one hand, is extremely sturdy and has been able to do small towns and big cities and everything in between. I do bring our toddler Tula to use on travel days -- usually in the airport and getting on and off the plane. Just keeps us all safe, usually we have to walk onto the tarmac to get to the plane when using budget airlines. We don't typically use the Tula when we are in cities or day tripping but it is handy to have just in case. If we are renting a car, we take our new car seat -- we upgraded to the next size as our Peanut was fast out growing our other travel car seat (we loved this one, lasted us two and a half years). We took our new car seat on our recent trip to Germany and it was amazing! Extremely lightweight and still fit in our car seat bag (which I highly recommend). The massive benefit of bringing our own car seat is that it is checked for free -- we've never had any issues with the multiple budget airlines we've flown. We load up the car seat bag with lightweight stuff (I make sure the bag weighs no more than 10kg) and no one has questioned us so far (fingers crossed). And when we usually have to pay a hefty fee for a checked bag, this is a huge win! Apps: We use a combination of educational apps and just plain entertaining apps. Honestly, there are times for both and Serafina will gladly play both. Really our only requirement is that the app works without wifi as it often isn't available. Our current favorite apps are: Daniel Tiger (PBS Kids doesn't work in Spain so we have to download all PBS apps separately), Endless 123, Endless ABC (for both Endless apps we have paid for the full app), Busy Shapes and Khan Academy Kids (this one does require wifi so we typically only use it when we are in the hotel/apartment for the evening). We are always looking for new apps to change it up, so please let me know your favorites! Other Entertainment: We almost always bring a super cheap coloring book and crayons/colored pencils (picked up from Spain's version of the dollar store); I can usually find cheap sticker books too and bring those. 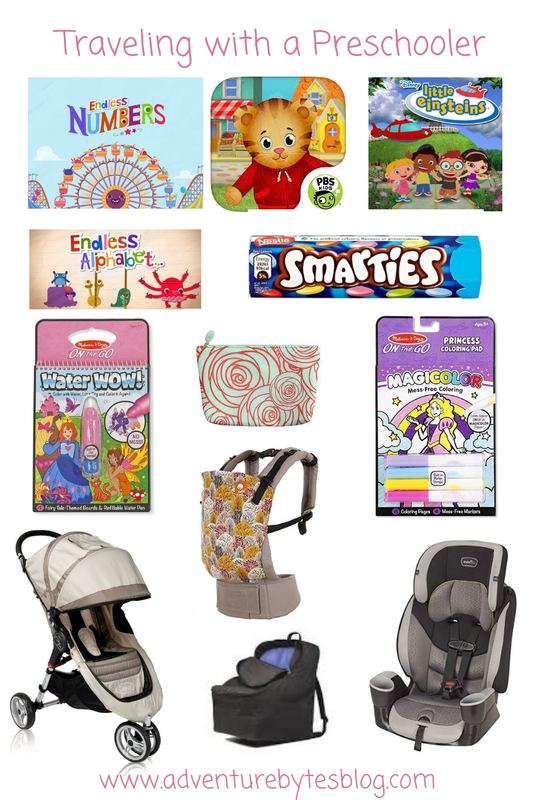 We also travel with a few Melissa and Doug On The Go products -- our favorites are the Water Wow, the Magic Color and the Color-N-Carry (I usually stock up on a few at a time during sales). We also really like the Crayola Color Wonder as then we don't have to worry about things getting colored that shouldn't be colored! And finally, I cannot take credit for this but I tell everyone about this trick :) Save all those stupid Happy Meal toys, birthday party trinkets... all the little toys that cost you next to nothing. And throw them into a bag -- I personally use one of my Ipsy bags -- and call it good. If you lose one of those toys, who cares but they will entertain your child for hours! This bag of toys comes everywhere with us, not just traveling and I change out the toys frequently. And finally, we usually travel with one new book that we pull out right when we get on the airplane. Because I have food allergies we always bring a few granola bars with us (and also helps that Serafina will eat the granola bars too if needed). We prefer to stay in apartments if we have more than one night in a city, so we also pack one or two of these nasty rice packets (no judging, I know they are gross and unhealthy) to use if needed. Serafina eats them, they are super easy to make, cost next to nothing and take up no room in the suitcase. Our sweet girl is not a huge fan of eating while traveling (too much to see and do) so we resort to anything and everything to get her to eat -- the rice packets, lots of french fries, croissants, bread, platefuls of cucumbers. I would not consider our kid a picky eater, until we travel (ugh)! We also pack some snacks for the airplane -- sunbutter and jelly sandwiches, fruit, goldfish crackers, and a treat. Serafina loves M&Ms and Smarties so we bring a package and slowly dole them out on the plane (ask for an extra cup from the flight attendants to use to hold the candies -- works great). European airports are often extremely kid friendly and most have a play area for kids centrally located (even the super small airports) which is where we will typically hang out before going to our gate -- we are usually one of last ones to board. * But if your airport doesn't have a play area, just let kids run up and down the airport! 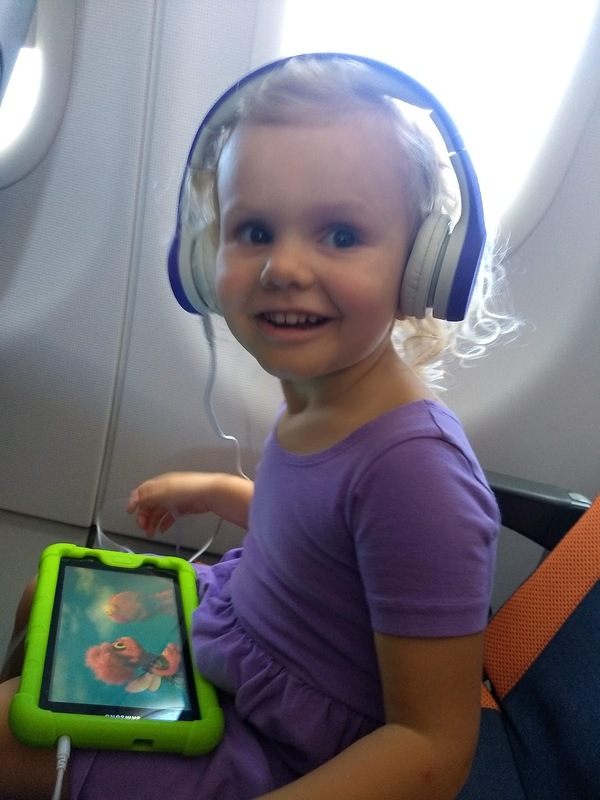 Our kid really likes airplanes and airports, so for the most part she is well behaved which makes travel days just slightly easier. Our kid also likes museums, not as much as she used to so now we make games out of going to museums -- scavenger hunts for animals in pictures/sculptures, different colors, etc. We point out our favorite paintings/sculptures and ask her for her favorites. We also let her take pictures of what she likes which really helps -- and she comes up with some amazing pictures! We do have this camera that she uses at home and we will for sure be taking it on our next trip. So we do a healthy mix of museums/adult activities, usually in the morning when she is less tired and in a better mood and then add in fun/kid activities as well, such as interactive museums (natural history museums), parks, zoos, etc -- and bribe her with ice cream when all else fails :) When planning our trips, Trevor and I discuss the places/museums/etc we most definitely want to see and we make those a priority, then add in other activities for all of us to enjoy too. And just like when she was little, we always travel with a backpack full of the usual necessities: wipes, change of clothes, a few snacks, and the entertainment things we will need for the day/airplane trip (we always bring the tablet and kid headphones, the bag of toys and at least one or two art activities -- whatever else we have brought with us stays in the hotel room and we rotate the art activities/books, etc. if needed). While traveling with kids (at any age really) can be difficult, it is also so rewarding. We see and experience things we never would have if it weren't for Serafina which makes our travels that much more fun -- the key is to laugh a lot and be flexible. Hope you all enjoy your travels and leave any other tips and tricks in the comments! *I know there is much debate on first or last to board with kids and we have done both. With budget airlines, unless you have paid for a priority ticket (which we never do), you are forced to wait in a LONG line so.... we let our kid play until the line dies down and then we board. Flying budget airlines is an adventure in itself and probably does deserve its own post one day!